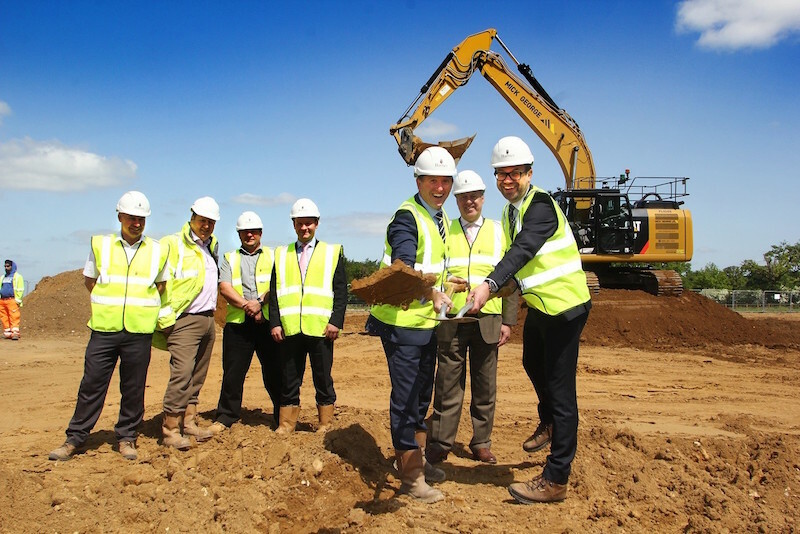 A power tools manufacturer has celebrated the start of construction at its new £9.5m Suffolk Business Park, Bury St Edmunds. Festool, which has been based at Saxham Business Park at Bury St Edmunds for 20 years, is building a new 2,800sq m facility a few miles away at Suffolk Business Park. UK managing director Ole Held took part in a ground-breaking event at the site. The two-storey headquarters which includes a warehouse, office space, demonstration and meeting rooms, as well as a service centre, cafe and show zone, is being built by Ipswich-based Barnes Construction. When completed in spring 2019, Festool’s 40 UK office-based employees will move from Saxham Business Park to their new home. Construction consultancy Pick Everard designed the building and is managing the project on behalf of Festool. Senior building surveyor Jeremy Ault said: “We were originally appointed to evaluate the options and relocating to Suffolk Business Park became the most attractive and economical choice. The Churchmanor Estates Company, which is developing Suffolk Business Park, brokered the Festool deal. Councillor John Griffiths, leader of St Edmundsbury Borough Council welcomed the new development. “We’re delighted that Festool is expanding onto Suffolk Business Park and bringing more jobs to West Suffolk. The council played a lead role through investment and negotiation to secure both the land for Suffolk Business Park and the delivery of the Eastern Relief Road.